Forensic Psychiatric Associates, LLC offers expert witness testimony in the following areas: Stress Disorders, Custody Evaluation, Criminal Responsibility, Detection of Malingering, Employment Discrimination, Sexual Harassment, Medical Records Review, Domestic Sexual Abuse, Medical and Psychiatric Malpractice, Post Traumatic Stress Disorder, Independent Medical Examinations, Competency Evaluations, Elder Abuse, Testamentary Capacity / Undue Influence, Guardianship, and participation in Legal Advisory Panels. Forensic Psychiatric Associates, LLC manager, Dr. Alberto M. Goldwaser, provides expert opinions through preparation of narrative reports and testifying in depositions and courts. 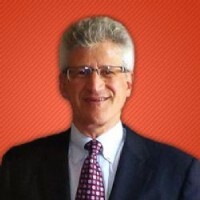 Dr. Goldwaser's broad experience in the field of Clinical Psychiatry covers over a 33-year period. Areas of expertise include General Clinical Psychiatry, Forensic Psychiatry, Psychoanalysis and Psychosomatic Medicine. Much of his Forensic practice focuses on IMEs (Plaintiff/Defense), providing testimony on PTSD, Malingering, Medical Malpractice, Sexual Harassment, Employment Discrimination, Competency (Civil/Criminal) as well as other areas in which Mental Health and Law intertwine. Born in Argentina (1951), fluent in English and Spanish. Diplomate: American Board of Psychiatry and Neurology, with specialization in Clinical Psychiatry and also in the subspecialty of Forensic Psychiatry. Diplomate: American Board of Forensic Examiners (Psychiatry). Diplomate: American Board of Forensic Medicine. Chairman of Professional Ethics Committee of the Psychoanalytic Association of New York and also of the New Jersey Psychoanalytic Society. Distinguished Fellow: American Psychiatric Association. Clinical Assistant Professor of Psychiatry: New York University School of Medicine. Life Fellow: American College of Forensic Examiners. Associate Member of the American Bar Association, Health Law, and Family Law Sections. Dr. Alberto M. Goldwaser has conducted Civil and Criminal Psychiatric-Legal Examinations in State, Federal and Military courts across the country and Puerto Rico. He provides consultations to firms engaged in Plaintiff and Defense representation. - Physician's Recognition Award, by American Psychiatric Association, and New Jersey Medical Society. 2003 "The Scientific Alliance between Forensics and Psychiatry", at Barnert Hospital, Department of Psychiatry, Grand Rounds Lecture. February 6, Paterson, New Jersey. 2003 "Ethics Workshop", 2003 American Psychoanalytic Association winter Meeting, January 22-26, meeting chairman: Marvin Margolis, MD, PhD; January 24, 2003, New York City. 2002 "Assessment of Psychiatric Disorders following Trauma, and of the Condition that Mimics them: Malingering"; at the Travelers Property and Casualty Insurance Company, Worker's Compensation Unit, Continuing Education Program. June 13, Morris Plains, New Jersey.